As health care and pharmaceutical companies aim to better understand specific medical conditions, they are turning to online communities of engaged patients, to conduct research and recruit for clinical trials. Listener Jenn Lebowitz suggested that we try a Q&A episode, so we’re doing it! If you have any questions that you would like me to answer on the air, please submit them! What does the community get out of participating in research? Amrita Bhowmick, who holds Master’s degrees in public health and business administration, is chief community officer at Health Union, where she combines business acumen and public health expertise to create and cultivate Health Union’s content-rich patient communities. With her degree in public health and many years in pharmaceutical marketing and analytics, Amrita accumulated extensive health care industry experience which she has honed to develop a keen sense for patient needs. Amrita’s knowledge and intuition of the patient journey help translate Health Union’s large-scale patient dialogue into the real insights that make these communities successful. She loves spending as much time as possible outdoors with her dog, a recently certified therapy dog and her three-year-old daughter, a certified hooligan. 00:20 Patrick O’Keefe: Hello and thank you for joining me on this episode of Community Signal. We are speaking with Amrita Bhowmick. 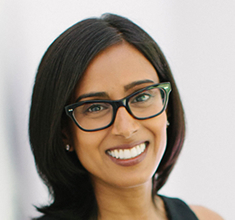 Amrita, who holds Master’s degrees in public health and business administration, is chief community officer at Health Union, where she combines business acumen and public health expertise to create and cultivate Health Union’s content-rich patient communities. With her degree in public health and many years in pharmaceutical marketing and analytics, Amrita accumulated extensive health care industry experience which she has honed to develop a keen sense for patient needs. Amrita’s knowledge and intuition of the patient journey help translate Health Union’s large-scale patient dialogue into the real insights that make these communities successful. She loves spending as much time as possible outdoors with her dog, a recently certified therapy dog and her three-year-old daughter, a certified hooligan. [chuckle] Amrita, welcome. 01:04 Amrita Bhowmick: Well, thanks so much for having me, Patrick. 01:05 Patrick O’Keefe: You are the second person I’ve had on this show from Health Union and that’s a first because no other company has had two people on this show thus far. I actually saw a lot of Health Union this spring. I had Jenn Lebowitz, who is a wonderful person and supporter of the program, on the show back in March. Then I had brunch with you in Durham, North Carolina in April, and in May, I visited the Health Union offices in Philadelphia and chatted with various members of the community team including Jenn, Kelly McNamara, Stephanie Huston, Rebecca Braglio and Brian Green, as well as your CEO, Olivier Chateau. It was great to meet everyone and it’s great to have you on the program. There’s a lot of people on the program that I haven’t met in person yet and so we did that first and got it out of the way. 01:48 Amrita Bhowmick: Absolutely, I was gonna say the same, it’s so nice to actually meet people in person these days. 01:52 Patrick O’Keefe: It gives me the opportunity to disappoint you. [chuckle] I’m not the same person online. 02:00 Patrick O’Keefe: Well, thank you. And this seems like a great time to mention that I’m planning to try something new on an upcoming episode of Community Signal. The reason I wanna mention it is because Jenn actually suggested it. Every episode so far has been me and a guest, but Jenn suggested that we try a Q&A episode where listeners submit questions that I’ll answer on the show. And if it’s something people like we might make it a regular thing. 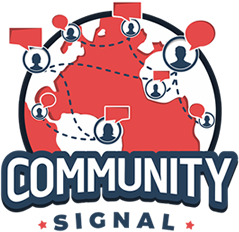 If you have a question you’d like me to answer, please visit communitysignal.com/qa to submit it. You can submit through text or upload an audio clip of yourself asking the question. You can even remain anonymous if you want but I’d love to credit you, your company, website and Twitter. I look forward to tackling your questions. Amrita, you have a really interesting background in health and now in online community. And I really want to talk about how online communities have the potential to change how medical research and clinical trials are conducted. But first, I’d like you to tell me about your background pre-Health Union and how it leads into this. You came from GlaxoSmithKline where you were a product manager. What type of work were you doing? 02:56 Amrita Bhowmick: Sure. So after completing my MBA, I joined GSK in the management development program and the idea is to rotate through some key departments and ultimately end up in a product management role that I was in for approximately four and a half years before I left to go to Health Union. And the nice thing about the product manager role is it’s actually very similar to a community manager role if you think about it. It’s very much a jack of all trades, you get to do a lot and the product is your business, and you and your teammates are responsible for making that a success. So for the folks who are more familiar with community management, you can see that there is a clear overlap, and in our case the community is our product and you’re responsible for doing anything and everything to make those communities successful. My specific areas of focus were geared I like to say in the nerdy direction, but I loved working on managed care, insurance, market research and also clinical development from the commercial perspective. 03:48 Patrick O’Keefe: So you saw medical research and clinical trials from that side, from the pharmaceutical side, and now you’re seeing it from sort of a different side, the community side, I don’t know maybe more of the patient’s side, let’s say. I wanna separate out medical research and clinical trials, and talk about them separately. So first, how are online communities improving medical research and what type of research is being conducted in your communities? 04:11 Amrita Bhowmick: Sure, I guess as you just said, if someone was to say, “What kind of just health care research do you do?”, I would probably put it into two key buckets. The first one is more of a descriptive cohort study and I think that might be what you’re referring to with medical research where the purpose is to really better describe an individual’s experience with a condition, so what is their life like, what kind of symptoms are they having, what treatments are working, what treatments aren’t working, etcetera. And then the second bucket would be clinical trials where their primary purpose is usually to test the safety and effectiveness of a specific intervention. New treatments are the most common, but it could be testing out a new treatment algorithm or a new way to manage a condition as well. 04:49 Patrick O’Keefe: So let’s talk about that first one in the cohort trial. How are companies coming to you? How are you setting that up? How are you vetting people? How does that work? 04:55 Amrita Bhowmick: Sure so, when we first launched Migraine.com, we launched it in December of 2010 and shortly thereafter somebody that I worked very closely with at the time, both of us are really interested in therapy dogs and how they might help people with conditions, specifically migraine. We both love dogs, we’re both interested in migraine, so we first hit a relatively small study not expecting it to work, basically asking our community members, “Is there a chance that your dog could be alerting you to a migraine before you know a migraine is hitting?” And the reason that was of interest is because primarily people focus on the headache phase of a migraine but there are a lot of other more subtle symptoms that might occur before the headache. And if you can become more aware of those symptoms you can treat earlier and your treatment is more likely to be effective. 05:37 Amrita Bhowmick: So there’s a lot of value in knowing when the migraine is starting at the earliest phases. So we kind of just posted it as a survey on Migraine.com, not expecting a huge response, but we had a 1,000 people, I believe, complete the survey in just a matter of weeks. Note that they weren’t paid or anything, it was really just that they wanted to share their experience and the results from those surveys ended up being presented at one of the largest European neurological conferences a few months later which was very cool and really provided validation that you can use this online, social network model to generate valuable research. 06:09 Amrita Bhowmick: So after we did that, the team at Health Union realized there is a lot of potential here to do more. We lovingly refer to that as “the dog study” and it is my personal favorite to-date. But there is so much more we could be doing and I believe it was the next year or I guess maybe 18 months later, we launched our first “in America” study and we now do these across all of our platforms, and in fact we do the first one before the platform even launches. And what that is, it’s typically between 100 and 140 questions, so it’s absolutely not short and it looks at everything that a patient might experience from before diagnosis to the point of diagnosis and thereafter. And really what we focus on is asking people the questions that they want to answer and perhaps nobody has even asked them. So there’s the obvious questions around, “How are you diagnosed?” But then even the questions around symptoms, they typically focus on the more well-known symptoms versus the lesser known symptoms and we try to include the gamut in there. 07:03 Amrita Bhowmick: Quality of life, not just, “How is your day to day life?” but, “How is it impacting your ability to work or your ability to manage relationships?” So I actually have a great little case study which is one of my personal favorites even though it’s old from 2010, when we first launched migraine.com, Olivier had told me after looking at the search results that puffy eyelid was something that people were searching for. And we had a little bit of a debate about it because first, puffy eyelid is not technically a medical term, the medical term would be eyelid edema, and it’s like, “Well, how do we align those two?” And there really isn’t a lot of research on there, so how do I know it’s a thing, and ultimately we settled on writing an article on puffy eyelid and setting it up in a way that would perform well for search, but then within that article indicating that the proper term is eyelid edema and seems to be something that patients talk about but there isn’t a lot of research out there. 07:53 Amrita Bhowmick: Since then, we included puffy eyelid in that first migraine in America survey, nearly 3,000 people completed that survey. And interestingly enough, 23% of those people said that they experienced puffy eyelid. So that was really cool because it kind of takes you from Google search result to getting data that validate something that our community members have obviously been feeling and experiencing and perhaps even their doctors don’t know about it. So it’s fun to share those findings back with the community because it is a huge source of validation to know that it’s not just you, in fact, 23% of people might be experiencing this kind of wanky lesser-known symptom. But beyond that we actually worked with our partners at UMass to publish those results in a peer-reviewed journal to reach medical professionals in the field as well. It’s basically taking something from inception that’s driven from the community members themselves ranging from Google search to even if they’re just posting something on our Facebook page that we’ve never heard of, formulating that in a way that can be put into a survey and quantified, and then ending up with something that has a lasting social impact well beyond that direct community. So that’s my favorite case study that we’ve had to date. 09:01 Patrick O’Keefe: That’s a good one. Not knowing the name of puffy eyelid or someone maybe not knowing the technical term. It reminds me of going to museum and seeing the scientific name of like birds. It’s like I don’t know those things, I mean, that’s a pigeon. I mean I don’t know what the scientific name is. I don’t know it made me think of that. But so it sounds like maybe, it is a mix of you conduct research that you then publish and release as papers and that conventions and so on and so forth, and then also companies come to you and ask you to conduct research that maybe is market research and shows them the need for X, is that correct? 09:33 Amrita Bhowmick: Exactly. And so any kind of community study we have a rule that if we’re doing the study and it’s driven by our insights team within Health Union and partnered with the community team, that data is always shared back with the community, so the first thing we do is publish on the website because it’s fast. We would love to have all of this data published in a peer-reviewed journal or shared at conferences but that can be tough and it’s also a very slow-going process, but that’s how we manage any of our community-driven surveys. Additionally, as you said, we do have client-driven surveys which are managed a little bit differently if they come to us, and one which was one of my personal favorites is, a company was developing a new medication and they really wanted to learn more about patients and their preferred route of administration for a new drug. 10:14 Amrita Bhowmick: And this having worked in the field, it was actually really cool to see because oftentimes the drug is already developed before patient’s opinions are even asked and that can make a huge difference so do people prefer a subcutaneous injection that’s done on a frequent basis or do they prefer a less frequent infusion that requires them to go to their doctor’s office? So it’s refreshing to see that the folks in development are actually asking these questions before they develop the drug and that’s something that we would manage on our end in terms of sending out the survey to people, and of course it’s always optional to participate if it is a client-driven survey our members are also compensated for their participation. So that’s kind of a win-win for them as they get to share their opinions and hopefully positively impact the outcome of something that could influence their lives hopefully in a positive way, and also they are compensated for it immediately after completing the survey. The catch with the client surveys, is that we can’t promise that… that data is owned by the client so it may not be published publicly unlike the community surveys. 11:12 Patrick O’Keefe: So the community gets the data, that’s the benefit of the surveys that are public surveys, the community-driven surveys. What is the benefit that you find to you being in peer-reviewed journals or presenting at big conferences? Does it add legitimacy to the Health Union name in the health care industry or what are you seeing as the benefit of the releasing the data in that way? 11:27 Amrita Bhowmick: Absolutely, so there’s a few different benefits. Initially, I was really focused, coming from a public health background. You just see the wealth of information in these health communities and you also know that that information may not be actually getting to the folks that are treating these patients. So it’s one step to get that data and to provide validity for our members and to put it out there, but it’s a whole other step to take that and actually influence the quality of patient care. So selfishly, that’s my focus, is really to get the data out where data from our health communities can actually have a positive impact on patient care is a pretty incredible thing and the speed at which we can do that is also pretty amazing if you were to overlay it with more traditional academic research. In addition to that, we have found that it absolutely gives more validity to the Health Union name as well just to show that we’re capable of conducting high quality studies that are valued enough to be published in these journals are presented at large conferences as well. So when you reach out to partners in R&D etcetera, it really does help us show what we’re capable of doing. 12:29 Patrick O’Keefe: And I know you’re separate from the money side of this but we’ll talk about that later, but just as someone who did work in that industry and now is on this community side, when it comes to conducting that research. I would assume, you know better than me, I don’t know, that there are many ways you can conduct that sort of research. What is it about an online community? Like if you’re pitching someone on that if you were working in that space still and someone was saying that comparing these different methods, what is it about an online community that makes it possibly a better alternative to some of the other options? 12:57 Amrita Bhowmick: So I think the biggest thing is the speed and access to a highly engaged and interested group of patients, is more difficult to get than you might expect. And so I think there is one survey, I remember we fielded it on a Friday night and it closed by Saturday morning because we had filled it so quickly. And that’s a result of building a community that’s really being built for the sake of having a great community, not just building a community for the sake of having a research panel. We often find the need to clarify that to folks that we’re not a panel, our community doesn’t exist solely for the purpose of market research, it exists as a standalone community. A possible benefit of that is that we have people who may be interested in participating in market research. So the type of patients you’re getting access to is very different in that they’re heavily engaged interested and they’re extremely eager to have these opportunities which is also nice ’cause ultimately those are the folks that you do wanna hear from. And then also the speed at which you can get that data that you’re looking for. 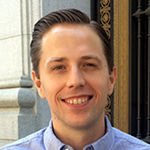 13:50 Patrick O’Keefe: Clinical trials have been happening for a long time, and as an outsider I see them as a very long deliberate process that requires a lot of hands-on work and interacting with people in person. What kind of impact are online communities having on clinical trials? 14:04 Amrita Bhowmick: So this is where I’m most excited, I will say this is also where things are kind of the slowest going because it is a huge change to an existing dynamic. But we know a few things and we know that access to care continues to be a challenge for many individuals, especially those with chronic condition and if they’re living in rural areas, etcetera. On the flip side we know that it’s getting harder and harder to recruit for clinical trials. So on one side we have people that are lacking in the access to care and are interested in clinical trials, in fact we did a large survey across our communities and found that 69% of these patients were actually interested in participating in clinical trials, but meant most of them had not participated, and then you have on the other side researchers who are eager to fill their clinical trials but are struggling to do so and it’s getting more difficult with time. So the online communities really provide this unique, I guess, middleman position that hasn’t existed before in connecting the two, and I don’t wanna say that clinical trials are for everybody or that everybody’s interested in of course qualifying for a trial or a whole other ordeal, but it is just this access point an online community can provide that didn’t exist before. 15:12 Amrita Bhowmick: Traditionally you would get recruited to a clinical trial through your doctor’s office, and if you think about the number of people that are uninsured or under-insured a lot of these folks may not even be going to their doctor, so how are they gonna learn about clinical trials? The other challenge with that from the researchers standpoint is that typically you’re getting access to kind of the same pool of patients as you’re working with the same physicians, and so that again the communities are offering you a way to broaden your net and access folks who very well might be qualified and very well might be interested. But have just never had the opportunity to sign up. So to give you an idea of breadth, we rolled our, what we call the TrialLink program that does exactly that bridging the gap between researchers and community members who are interested, and we rolled that out, I guess, I would say a little over a year ago, and have screened more than 16,000 patients in just that period of time. So that just gives you the idea the breadth of where this could go. 16:06 Patrick O’Keefe: Yeah, I find it really, really interesting. And so 16,000 patients, the screening process. What is that like, are you reaching out to people in the community specifically, are you making an announcement? Are you saying, “Hey, we’ve got this potential clinical trial. If you’re interested apply here. They answer a few questions and then they’re either qualified/disqualified?” Is there an expected success rate of a qualified patient in the healthcare industry and how does the community compare to that? That’s a lot of questions, but I’m just curious, I’m really interested in how it works and how you qualify people. 16:33 Amrita Bhowmick: It’s a great question, so I will have to plead a certain level of ignorance as we’ve talked about before, we really do maintain the separation of church and state between the community team and the business development team. So while I know that these projects are ongoing and I’m aware of the bird’s eye view of them, I’m rarely looped in with specific goals and how we did compared to those goals because that stays over on the BD side of things. That said, I can definitely speak to the higher level of the process and how people get included and how difficult or not difficult that might be and what Health Union’s role is. 17:03 Amrita Bhowmick: So the first step is usually to get access to those patients and that’s what we talked about a bit already, and because we have these existing engaged, in interesting communities, that’s actually fairly easy. The way we go about recruiting people really depends on the type of study. So there are some studies that are very specific and might be only looking for a really small group of our members, and in that case we likely would do more of a targeted email campaign to reach out to them and let them know. In other cases if it’s more of a broad net study, we’d probably post it to our Facebook page. And the reason we do that is, the last thing that we want to do is set people up to be hopeful only to find that they’re not gonna qualify for a trial. So we do our best to align our recruitment strategy with where we know certain members of our community exist to ensure the best possible overlap. This said, it is very difficult to qualify for clinical trials, because the inclusion criteria and exclusion criteria can be very strict. 18:00 Amrita Bhowmick: The first step is usually we get folks that reach out to us because they respond to something that we’ve put out there saying that they’re interested in clinical trial, that’s great, everybody is excited. The next step is to put them through the screener, and in a majority of cases we do manage that screener process ourselves just because we do wanna make sure they’re having the most positive experience. And the screeners are lengthy at that point, there might be a pre-screen, there might not be, but eventually you will be asked to take a fairly lengthy survey screener. And that’s the point where a lot of people will drop out. So to give you an example, having a mental health condition will sometimes be an exclusion criteria for a trial. Unfortunately, many people with chronic conditions also have mental health conditions. So in that situation it can be tough because you might get 100 patients and maybe only one of them has not stated that they have a mental health condition that would exclude them from the trial. And that can also be tough for us because we have to manage the community’s expectations of, one, being hopeful that they have access to something that they perhaps never had access before, but at the same time managing expectations that very few patients will ultimately qualify and get into the trial just based on how trials are structured. 19:10 Patrick O’Keefe: Now, it sounds like you’re kinda far away from this ROI question, but I still wanna ask it, and just the idea of medical companies conducting research, clinical trials. As someone who came from that background, what is the ROI on those types of things? Is it a certain number of respondents? Is it good data? Maybe it’s a super-clear picture and I’m just totally out of the loop, but what is the ROI look like for those sorts of efforts? 19:33 Amrita Bhowmick: Sure, there’s a couple different ways you might look at it if you’re strictly looking at an ROI methodology. 19:39 Patrick O’Keefe: Do they look at it that way? Is that even a consideration? 19:41 Amrita Bhowmick: Yes, but typically you’re looking at more of a long-term investment in a product, so there’s many other factors that play into it beyond just the cost of the trial. So it’s an ROI methodology but it’s more of a long-term so we’re willing to invest heavily in a trial because this product is likely to generate revenue for the next 10 years at a very high level. So it isn’t necessarily just trial-specific, it is a broader view of that compound and the potential that it has. Specifically in terms of clinical trials, one thing that people do look at is the cost to recruit, and the cost to recruit as an individual patient is very high. If you think about the traditional methods we’re doing, so you’re waiting for somebody to come in into their doctor’s office, you’re then trying to put them through the screener, even the amount of time this takes is very long so it’s long and it’s costly. So it’s not rocket science to see how having access to this huge group of potential patients through an online community that can provide instant screener responses basically can both cut down on cost and time, and that’s really what’s exciting. I mean, all of us know that the cost of healthcare is rising and nobody’s gonna turn down an opportunity to reduce those costs, and if we can reduce the cost of development, hopefully there’s a trickle down effect that reduces the cost long-term as well. 20:55 Patrick O’Keefe: From listening to what you’ve said today, I get a picture of what the community gets out of it, right? They get access to the data in the case of community-driven surveys and sometimes maybe in the client-driven ones too, they get paid for the client-driven ones, they get access to clinical trials, that’s a benefit. Is that a pretty good picture of how the community benefits from participating in these efforts? Or is there something I’m missing? 21:14 Amrita Bhowmick: Yeah, absolutely. And I think the one other thing that I would include that I actually underestimated the value of when we first started doing some of this is that people really just wanna be heard, and so, when they participate in market research, often times they’ll get an Amazon gift card or something that comes from a generic account and people will actually respond, and they actually rarely thank us for the money, they thank us for the opportunity to provide feedback. And that’s on client surveys, so that’s not even something that we’re fielding from a community standpoint. It might be an advertisement that our client is looking for feedback on and they’re actually genuinely thankful to have the opportunity to provide that feedback, and in many cases the financial gain is just an added benefit. So, I think it really just comes down to the fact that people want to be heard and many people want to be heard by these clients, and this offers them the opportunity to provide that feedback. 22:01 Patrick O’Keefe: On the flip side, do you think there are any downsides to the community participating? 22:05 Amrita Bhowmick: In terms of the market research? 22:06 Patrick O’Keefe: Yeah, or clinical trials. Is there a downside? Is there a negative to this? 22:10 Amrita Bhowmick: No, I mean, not necessarily for us. I will say any time you ask for feedback, you have to have a plan for what you’re gonna do with that, and that applies to any kind of market research or any situation where you’re asking for feedback. So it’s very likely that the client might hear back from some of the most engaged community members that they hate their advertisement. I don’t necessarily see that as a downside, except that you’re just more empowered to fix it and hopefully put something out there that’s different and not what people just told you they don’t want. So I’m not sure that I’d even really consider that a downside, I guess some might but I still feel like it’s a bit of a stretch. 22:44 Patrick O’Keefe: Okay, so I’m gonna ask you a couple of tough questions here. What happens when a drug that Health Union helped bring to market, in even the smallest way, ends up being one of those attorney TV commercial drugs where class action lawsuits are being filed because of terrible side effects? And the reason I ask this is because your relationship with your community members is deeper and different than say, Google has with its search users, and part of your value proposition is that your members trust you and that you have that relationship. Is that sort of thing a nightmare scenario, or how do you think you would actually handle that if it occurred? 23:19 Amrita Bhowmick: The development process is so long of course that we haven’t gotten to the point where anything going through the TrialLink program has made it to market, at least that I’m aware of, but it certainly may happen soon. So I can give you a couple examples of how we’ve handled other situations. It’s not unusual for a drug to be pulled or for a drug to be given a black box warning or adverse events that are very dangerous are found after something’s on the market, right? That does happen fairly regularly. So when a new drug is approved, we always publish kind of like a press release overview just letting the community know that the drug has been approved. If it’s later found that there are negative side effects, the drug is being pulled etcetera. We also provide that information. So, I think the key is really just to maintain balance. There is no skin off our back, if a drug is being pulled from the market. 24:07 Amrita Bhowmick: Our best interest is really to serve our members and make sure that they’re aware of it, and that’s ultimately what we do. So, I would assume that the same would translate over to clinical trials. If there is a product that makes it to market, regardless of our involvement in that clinical trial, we would absolutely make our members aware of the situation. We don’t bury that information, it’s treated just as importantly as any other post that goes up on our websites, and we post it to our Facebook page, put it in the newsletter, etcetera, and really just get the word out there. And that’s how I see our role in all of this. Unless you’re thinking of something else that I’m missing. 24:43 Patrick O’Keefe: No, I mean it just seems like such a challenging situation to me because you serve communities of sufferers or survivors, and if you conducted a clinical trial for a drug and eventually it got out and it ended up hurting that audience, obviously, even though it’s not your drug, obviously, you have a certain level of, you’re not really involved and it’s not your thing, you just helped conduct the research like any other research company. But I think, what makes it sticky is that you are this community. Research companies aren’t communities. My mom has been a part of various research companies for a long long time, received tons of freebies, tons of surveys. I’d ask her if she considered it a community, and I almost certainly think, she’d say “no”. But, I think your members of your communities would probably say “yes”, that this is a community, that it’s not just a survey they get in the mail every few weeks, or that they participated in once. So, I feel like maybe it’s unchartered ground, maybe it’s a new thing in health care specifically, that we have yet to experience in the community space as well, but no, no, no, it seems like a difficult stressful situation for everyone involved. 25:40 Amrita Bhowmick: Yeah, I mean, there is a certain level of, I guess uncomfortableness even with the recruitment, and like you said, these products and compounds aren’t ours, so we don’t directly benefit from them making it to market or not. But I can see how there would be a perceived relationship between Health Union and the manufacturer in that case. There already is a level of, this is why I’d call it the squirm factor, not because we’re doing something wrong but because as I mentioned earlier, not everybody is going to get into a clinical trial. So there’s already some potential for having a negative experience at that point, of being very hopeful and then being rejected. And we get those complaints a lot, and my team is fully trained on how to handle them and really just how to educate people on how clinical trials work. And the fact that we are very sorry, we wish everybody could qualify but that’s, unfortunately, not our call to make and just not the reality of the situation. And also to make sure that they know, we’ll make them aware of other opportunities that do come up in the future. 26:37 Amrita Bhowmick: And then there are folks who may actually join this trial and have a negative experience as well. So, all of these are possibilities along the way. Having a drug be recalled in lawsuits, I think that’s farther down the road, but there are certainly other points along the way that are fairly unchartered territory for us. And I think the key is, really, just to focus on our community members, our people, and they want to be treated as people, and they want to know that they can trust us, and being open and honest is the best way to do that. I can’t think of any kind of cover-up we would try to come up with even. [chuckle] I think if there is a problem, we would just own it, as we always do, and acknowledge it, and spread the word, and make sure that we’re treating people the way they wanna be treated, even in a less than ideal situation. 27:20 Patrick O’Keefe: I think that sounds right. There’s nothing you could do worse than say, “Don’t allow people to talk badly about that thing that we know is now bad.” It would only attract more attention to yourself. 27:28 Amrita Bhowmick: That didn’t even cross my mind, but yes. 27:30 Patrick O’Keefe: [chuckle] It would’ve crossed the mind of plenty of people out there, trust me. 27:33 Amrita Bhowmick: Okay. No, we would definitely not do that. We would definitely not do that either. 27:37 Patrick O’Keefe: Yeah, that’d be a bad thing to do. And as I’m sure is already clear to everyone listening, this is how Health Union generates revenue by connecting patients with health care companies. And in doing that, there is an obvious potential for conflict of interest here, and for the interest of the community to take a backseat to the interest of the companies paying Health Union, and allowing it to exist in the industry because while we can say that without your community, you don’t have anything to offer the companies, without those companies, you don’t have a job. [chuckle] So, there’s this give-and-take, there’s this balance. How do you manage that conflict? 28:09 Amrita Bhowmick: Sure. It’s funny because I get asked this question and it always throws me off a bit, because in my mind, the answer is so clear, which is hopefully a good thing is I actually don’t feel conflicted. And the reason for that is, really, just how we’ve set up the business over the last six years, and it’s comforting not to feel conflicted. And so, I can walk you through a bit of what that structure looks like and that might help answer that question. 28:29 Patrick O’Keefe: Please do. 28:29 Amrita Bhowmick: So we start with the golden rule, which is to put the community first. And this isn’t something that the community team says, this is something that Health Union, as a company, says. If you found one of our sales folks, they would say the same thing, that we have to put the community first. And the fact is that the community is our business so that completely supports that role as well. So, the need to maintain these positive relationships with our members is non-negotiable, and everybody understands that, which is a wonderful thing. I understand that that may not always be the case, that the community is a separate entity to the business, but for us, the community is a business. 29:01 Amrita Bhowmick: So, there’s a few ways that we maintain this focus on the community instead of just making it talk, we actually make sure that we put it into action. First is, what I alluded to you earlier is really just maintaining overall trust and transparencies with our members. We don’t do things that are sneaky, we don’t sell email addresses, we don’t run ads or sponsored content without marking them as such. Basically, we don’t do anything that we wouldn’t want people to find out about. And maybe that seems obvious, but I think that it’s comforting to people to know that that we’re not doing things that we wouldn’t stand behind. And if it’s something that makes us uncomfortable, we just won’t do it. So that’s the easiest place to be is, no, don’t do something questionable in the first place. The second piece of the puzzle is, to maintain that separation of church and state as what you alluded to earlier as well. And so, our community efforts are purely driven by the need to serve our members. So the content, the programming, the features that we introduce, are only there to meet the needs of our community. 29:57 Amrita Bhowmick: There is nothing there where our clients are like, “Hey, why didn’t you throw XYZ on there, because we’re interested,” that just really doesn’t happen. If they do want to have control over any content that would be a sponsored piece and marked as such, they don’t have any control over the content regardless if it’s editorial content managed by us, or content that’s created by our contributors. If we were to publish something that a client is not interested in having their ad running against, the content is absolutely still published so we’re not censoring anything. We would just stop the ads from running on that article, so it’s not that the community’s missing out on the benefit of having something, we’re just missing out on possibly some revenue by having ads on that. But again we’re thinking long-term so it’s really not even something we’re concerned about. So it’s fairly easy to maintain this model, it sounds very idealistic, but we really haven’t had much trouble, and down to the fact that we don’t even sit on the same side of the office in the Philadelphia office, which is kind of funny, but that’s the truth, we are very much separated, and the folks that manage the communities aren’t managing the client relationships. So it really just eliminates the need for a single person to feel like they’re torn between two needs because that single person doesn’t exist. 31:04 Amrita Bhowmick: So for the most part I love to say we really remain blissfully ignorant, regarding any client activities, I don’t even know what ads are gonna appear on my communities until they’re running, so I never know what’s in the works and I enjoy being able to stay ignorant. And then the last thing I would say is that we really look for opportunities that will either be neutral to the community or ideally will benefit both the community members and the clients. And I know that again also sounds very idealistic, but we’ve really proven that this is something that can be done. The clinical trials are a great example of this as we talked about earlier, the market research as well. And we kind of know that this might mean turning down some opportunities in the short run, so if somebody wanted to put flashy fly over ads on Migraine and we know that those ads are a trigger for our community members we would say no, and that might mean a short-term loss of revenue, but again if you’re really looking at the end goal of building long-term relationships that are meaningful, built on trust with our community members, then it’s really a drop in the bucket to miss that one opportunity. 32:06 Patrick O’Keefe: So do those two teams just not talk? [chuckle] Kind of the blissfully unaware part. Do the sales team or whoever is selling the clients, do they not talk to the community team? It sounds like there’s some approval process from what you said like, “We say no if X.” So is there a point where communities looped into that? How unaware are you? 32:24 Amrita Bhowmick: Yeah, I mean, I would say in many cases we really don’t talk except socially, which I never really thought about it until you put it out there, but that’s true. 95% of the time. I do work as a liaison, so I’ll often work with Lauren Lawhon, our COO, when we have new business opportunities that come up, and she might brainstorm them with me to make sure that we structure a new offering in a way that’s beneficial, or at least not off-putting for our communities, so those conversations do occur regularly at the highest kind of most abstract level, and then there are one-off conversations, and so if it is something that comes up, our BD team is great about knowing what the community will and won’t tolerate, so there’s a vetting process that occurs right out of the gate. But if they get something that’s a little bit iffy, they will absolutely bring it to the content lead in the community or in engagement lead, or even me just to bounce it off of us to see, “Is this really bad? Is there a way we can tweak this? Is it just offensive or is it something we can tone down?” So those conversations will occur every so often, but they’re pretty rare, and I think it’s because the sales and BD folks are just really good at screening out the stuff that we wouldn’t want in the first place. 33:32 Patrick O’Keefe: Amrita, this has been a really interesting conversation and a totally different side of community I feel than we’ve talked about here before, so I really appreciate you coming on and sharing it with us. 33:41 Amrita Bhowmick: Thanks so much for having me, Patrick. 33:42 Patrick O’Keefe: We have been talking with and Amrita Bhowmick, chief community officer at Health Union, visit their website at, health-union.com. Their health communities include Migraine.com MultipleSclerosis.net, and RheumatoidArthritis.net. You can follow Amrita on Twitter, @abhowmick1. For the transcript from this episode plus highlights and links that we mentioned, please visit communitysignal.com. Community Signal is produced by Karn Broad. And we’ll be back next week.